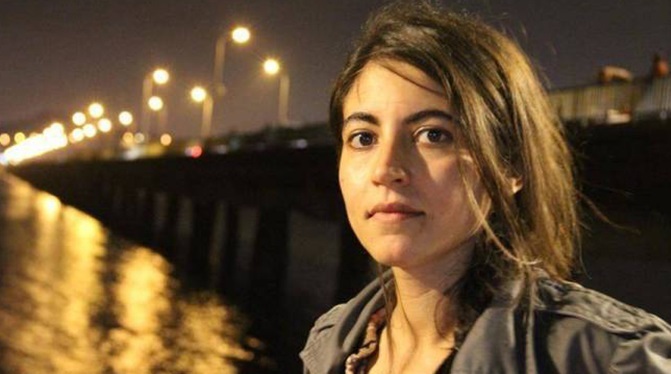 Berivan Alta, a reporter from the pro-Kurdish news portal Dihaber, was briefly detained on Thursday due to an outstanding arrest warrant, the Cumhuriyet daily reported. According to the report, Altan was detained during a security check in Mersin’s Mezitli district due to an outstanding arrest warrant and was taken to the Tece Police Station. Altan was released after spending several hours at the Mersin anti-terror branch. Turkey is ranked 155th out of 180 countries in Reporters Without Borders (RSF) 2017 World Press Freedom Index. The situation of media in Turkey has become critical under the state of emergency proclaimed after the coup attempt. According to the Turkey Purge website, based on information compiled from PEN International, the Platform for Independent Journalism (P24), the Stockholm Center for Freedom (SCF), the Journalists’ Union of Turkey (TGS) and the Progressive Journalists Association (ÇGD), 274 journalists were jailed in Turkey following a failed coup last year. While 163 of them are still in pretrial detention, the others were released pending trial or were cleared of charges. Turkey’s Contemporary Journalists’ Association (ÇGD) recently announced that more than 900 press cards have been cancelled.